Little did our party realize as we wrapped up our scrutinization of the murder scene at the estate of the nobleman Kormallis that we were about to be joined by a new member. From out of the sky the Firbolg Druid Large Silent Friend spotted a small dot growing larger and larger, until it was clear to him a very rare Phoenix was approaching rapidly with two riders. As it made its landing on the lawn, the Phoenix exploded into ashes, and the riders introduced themselves. The older, grey-haired gentleman was Professor von Schlezzler, a renowned necromancer and the head of the City Morgue inside the Alabaster Lyceum. But it was the younger, nerdy looking Tiefling that was soon to join us in our increasingly serpentine web of events. Her name was Amaris, and she was both a wizard and an apprentice of von Schlezzler, but an aspiring adventurer and aspirant to a position in the dark arts. The undead falcon that perched upon her shoulder and eyes us all stonily was a clear indication we were dealing someone marching to the beat of her own drum. Meanwhile, inside the manor, the Fighter Bromm, standing in for the senator Tyronius, asked the servant if she had a key to Kormallis' library. She did, and went to her bedroom where the key was on a chain she retrieved from the bottom of a trunk. Simultaneously to Bromm finding Kormallis' journal in the library. Professor von Schezzler has cast a spell and animated the ghost of Kormallis, who arises and upon being questioned clearly does not realize he is dead. He is of no use and is allowed to go to his final rest. Von Schlezzler, a seasoned investigator, working in tandem with his pupil, Amaris, soon concluded that Purple Worm poison had been used on Kormallis. 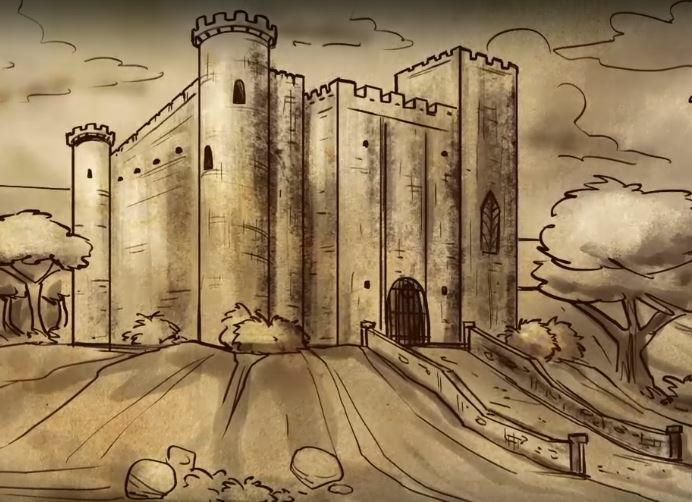 This clue was key because Purple Worm poison could only be obtained in two places: The city of Kamil, or Greyskull Keep, the stronghold of the Vox Machina, though they had long ago all but abandoned it to move on to personal pursuits. It was agreed Spork Fastwhiler would set off on his own to pursue the many leads he now had, including the story of Marshall Ulder Ravenguard, a hero in the battle against Vecna, who may have a very important role in the current murder spree, and the rest of the party would head to Greyskull Keep to determine if anyone had been there recently making an effort to obtain purple worm poison. Professor von Schlezzler gave his protege Amaris a sending stone and instructed her to join the search for evidence and report back with any discoveries we were able to make. The trek to the lower slums and the Greyskull Keep was uneventful, and we arrived by nightfall. Along the way Pliz'skin, Bromm, and Trog had skads of indelicate questions for the "whore" Torie about her friend Daisy, but made little headway into gaining her trust with their hardboiled methods. However, with her more subtle approach, the hot nerdy wizard Amaris was able to elicit from the street-hardened Torie that Daisy an elf, and that had a mistrust and aversion to the City Watch, even though prostitution is not illegal in Emon. So why was she uneasy around the City Watch? Bromm, being Bromm, used his influence to send two underlings back to Syngorn to search for any official records that could shed some light on the Elven refugee. An Elven streetwalker was not a common thing. Something was amiss here. But what? Who was Daisy, and who was she possible working for that got her killed? Greyskull Keep, home of the Vox Machina. Sort of. Arriving finally at the grand and majestic Greyskull Keep, no particular investigative expertise was required to discover the two feet we saw sticking out from under the portcullis. Bromm shouted "I am a representative of the Senator from Syngorn, show yourself," but the feet did not show themselves. We soon discovered why. The third murder victim belonged to those feet. The scene was as grisly as the previous two, and done in the same ritualistic way, except this time it was the tongue that was removed. Trog used his Bloodhunting skills to determine no fiends or fey were involved in the heinous act. The party wanted to established a time frame in which the murder had been committed, and noticed neither the torches or brazers appeared to have been lit in days, making it apparent this crime had most likely been committed previous to the other two, which would mean the culprits had come specifically for purple worm poison, and maybe something else. But what? The only way to find out was to enter the keep. Entering with no resistance and with no indication anyone else was present, we proceeded to a large hall that contained a table with nine chairs, maps, and artifacts we realized could only have belonged to the fabled Vox Machina. This was no doubt their war room. Nothing else in the room was of much interest, except a door to the West whose lock had been broken. A Glyph of warding was on the door, and the room beyond had seemingly been entered quite recently judging from the fire damage we witnessed. Apparently just breaking the lock was not the only condition essential for entering this room safely. Yet the ever-determined Monk Plis'skin set to work with his thieves' tools to perhaps disarm any traps, but in the attempt set off the glyph, burning himself badly. He was, however, able to determine the detonation of the fire glyph gave us fifteen seconds to enter the room, which all of us did. Once inside we knew were were in a treasure room worthy of the Vox Machina. Artifacts, potions, scrolls, and weapons of all types were present, including what we recognized as the Sword of Kas, used to defeat Vecna. It was also abundantly clear to us that disturbing any of these artifacts would certainly be a futile and fatal gesture. What we did note was that someone else had been more successful in purloining certain of these artifacts, including purple work poison, scrolls involving resurrection and contacting other planes, and the journals of the Vox Machina themselves. Whoever had managed to steal what was protected so well must have known what they were looking for and how to avoid being disintegrated doing so. But our pressing problem was how to get out of the room without activating the fiery glyph of warding again. Torie believed she had noticed a way to do it without activating the ward. She was wrong, and was burned severely on her arm. Large Silent Friend was able to heal her partially, and the rest of us exited the treasure room safely. Trog insisted on moving forward, and we made our way to a door down the hall. Amaris contacted Professor von Schlezzler on her sending stone, relaying the information we had collected so far, and was told to continue ferreting out the castle. We made our way to the door at the end of the hall and found it to be locked. Plis'kin further discerned through careful scrutiny that any attempt to open the door without the proper key would activate a trap. The ever-sharp Trog postulated the caretaker we found at the gates of the keep might also have keys to the keep, which turned out to be exactly the case. The only slight complication is that he had ALL the keys. Twenty in all. The studious and observant Amaris believed she might be able to find the right key, and quickly decided she knew which one was right for this door. Trog insisted he be the one to try the key, and as we braced for impact we were relieved to learn she was right. Sort of. The door didn't open, but a Magic Mouth appeared and refused to respond to any of our inquiries, including Bromm's declaration that he was some sort of official official from an official place. Instead we were informed that it was the mouth's duty to alert the Vox Humana that the door had been violated. We heard a whoosh of wind outside the window, and a Half Elven Druid woman appeared from nowhere, with a walking stick that looked like an upside down umbrella. 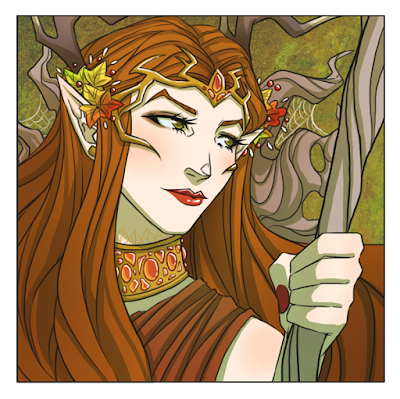 All residents of Exandria knew this was Keyleth, headmaster of the Air Ashari, and member of Vox Machina. What could she have thought seeing our motley crew inside of her Keep? Informing her that the gatekeeper had been murdered only raised her vexation with us as we became the prime suspects. We tried to explain how and why we came to the Keep to further investigate the series of murders that was happening, but she seemed far more concerned about the other caretaker of Greyskull Keep, Lynn, and increasingly vexed at our very presence in her sacred place. Bromm moved to question the druid, but her attention was entirely fixed on finding the other caretaker of Greyskull Keep. We split into two groups, and Keyleth went up the stairs with Bromm and Amaris went up the stairs to the caretaker's quarters, while Trog, Plis'kin, and Large Silent Friend entered the chapel, where all of the gods had alters. Seeing an alter to the Wild Mother surrounded by plants that had been neglected for several days, Large Silent Friend made his offering to the Wild Mother and quickly nursed the plants back to health, learning from them that they had been uncared for in five days, thereby confirming the timeline that had been established by Trog that the murders here had taken place even before the murders in Emon. The perpetrators had come here first. Upstairs Keyleth discovers the body of Lynn, treated in the same vulgar manner as the other murder victims,except in her case her eye was missing. The body was laid out in an outline of raven feathers, and a drawer that had been left partially opened had raven feathers strewn before it. It was at this inopportune moment that the always diplomatic Bromm made the error of questioning Keyleth about the ritual murders, the missing pages from her journal, and any possibility she may be involved in trying to resurrect her lover, Vax, who had sacrificed himself during the battle against Vecna, eventually being transformed into a revenant. His line of questioning was met by a flying backfist from the typically demure druid, and an admonition that "If you ever disrespect me or the memory of Vax again, I will wear your skin." However, Bromm's impetuous, ill-advised maneuver did get the druid to speak to summon us to the war room where she told us about many matters that shed light on the details of Vax's death, Vecna, and the betrayer Arkhan, the dragonborn betrayer of Vox Machina. Banlys asked the very logical question why would Greyskull Keep, if it contained such important artifacts, be left to the protection of only two caretakers. Keyleth explained all members of Vox Machina would have been teleported back if anyone had disturbed any of the artifacts, raising more questions about who exactly could have known enough about circumventing the safeguards to enter and exit with certain artifacts without alerting the Vox Machina. She wistfully related the tragic details of her last days with Vax'ildan, how he made a bargain with the Matron of Ravens that transformed him into a revenant, and how Arkhan had betrayed the Vox Machina to accrue power with the goal of opening the gates of hell and allowing his dark queen, the Scaled Tyrant, to return to this plane. It was at this time the irascible Trog blurted out that he would like to speak to the hero of all Goliaths, Grog. Keyleth obliged, and Grog appeared. An instant later a huge tankard of ale appeared in Grog's hand. before Trog sat Grog Strongjaw, grand puba of the doink. Trog asked many questions of Grog, mostly about Arkhan and the cult of the Scaled Tyrant. 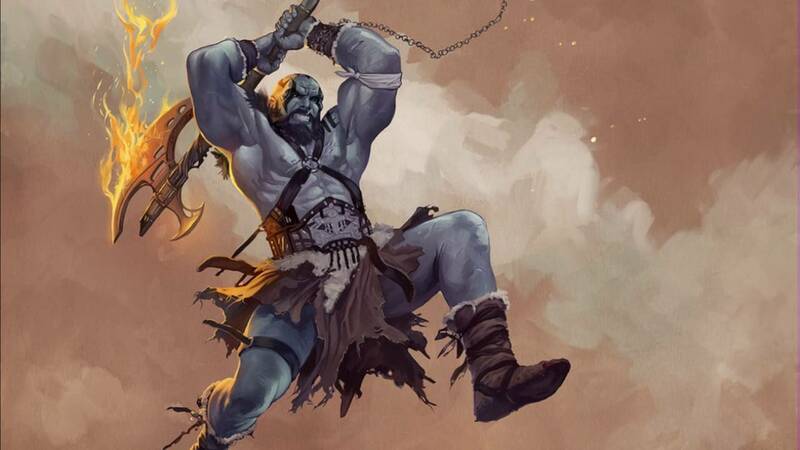 This made Grog somewhat sullen and the sadness and regret showed in his demeanor, but he answered the questions put to him by his fellow Goliath. Bromm then opened up a line of questioning about the details of Vax's transformation into a revenant, and Arkhan's betrayel. The taciturn Goliath conveyed that he never thought Keyleth's attempt to allow Vax to live on was a good idea. Asked what ever became of the hand of Vecna, Grog boasted he cut it up into many pieces, then scattered it across the world, including dropping it into volcanoes, but he also volunteered the intriguing tidbit that Keyleth had requested and been given a piece of the thumb. Trog then expressed his admiration for his hero and asked if he could have some memento from their meeting. The legendary warrior complied by removing his bracers and tossing them onto the table before Trog. At this point we had so many possible paths to follow it all seemed overwhelming. Was Arkhan and his cult responsible for these murders in an attempt to summon the Scaled Tyrant? Was someone trying to resurrect Vecna? Was it even possible Keyleth was so grief-stricken by the loss of Vax that she had resorted to dark methods in an attempt to bring her love back? Was there even another shadowy player who was yet to reveal its presence behind all of this mayhem? Little remained to be done at the Greyskull Keep, but Amaris wanted to perform one more examination of the second caretaker's body, and doing so discovered stone flecks consistent with the skin of a basilisk. What part did this creature play in this fourth murder, or more accurately, the second murder, but the fourth we had discovered? Leaving the Keep Keyleth implored us to find the missing pages of her journal, which were about her relationship with Vax, not any dark plot to resurrect her lover, and when we found them were were to not read a word of it. Plis'skin says he knows a place where we might learn more about how all of these elements come together, and soon we found ourselves at Gilmour's Glorious Goods. Plis'skin now takes the lead and asks the woman behind the counter, a half-elf named Sherri, if anyone has been in recently looking for basilisk poison. 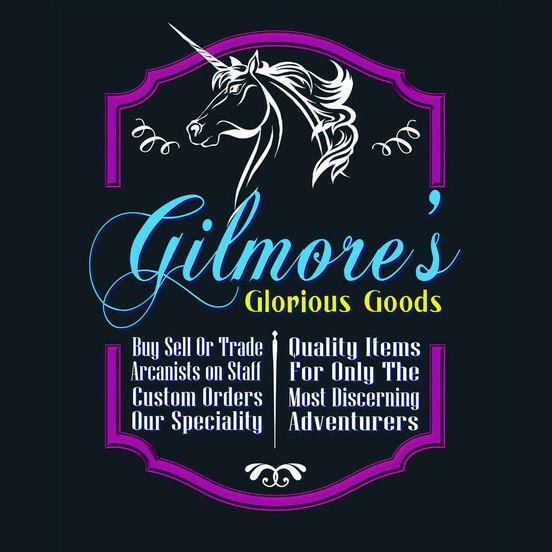 She quickly says she must go to the back to inform Sean Gilmour, human sorcerer, and owner of Gilmour's Glorious Goods, that we are asking. Plis'skin tried to follow her to the back, which made her very uncomfortable, and when Sean Gilmour appeared he upbraided Plis'skin about being creepy, then looked into his eyes and said "Oh, you're Yuan-Ti, forget it." 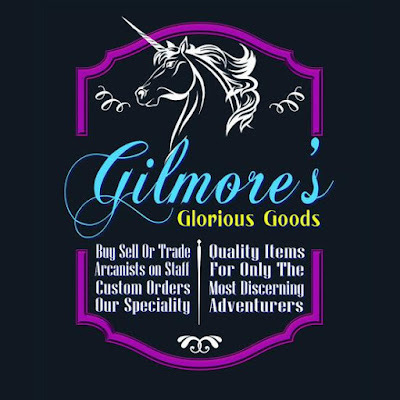 When asked about the basilisk poison, Gilmour related the tale of a recent employee he had, named Amnon, who had begun acting suspiciously, snooping through Sean's journals and customer logs, eventually absconding with several valuable magic items, darts, disguises, and basilisk poison. He didn't believe Amnon was a bad fellow, just misguided, or perhaps run amok. But by whom? Bromm at this point excused himself to the washroom, where he discovered a magic hole in which to do whatever business he had intended to do, and Plis'skin and Sean retired to Sean's office, where the details of their discussion remains unknown to the rest of the party. When the two emerged Plis'skin inquired about a hat of disguise he was enamored with, and was told it cost 500 gp. The party had no way to pay for such an item, so Bromm stepped in and asked if he could run a line of credit in Tiberius the Senator from Singhorn's name. Sean agreed, but said any item not paid for in sixty days would have it's magical powers reversed. At this point Bromm reneged and left the establishment. At this point the wily Plis'skin signed the contract Sean had pulled out, and was the proud owner of a hat of disguise. As his final nicety, Sean told us he was actually quite a good friend and benefactor of the Vox Machina, and put us on our way to the dock district where he believed Amnon lived, having sent him a turkey as a gift on a recent holiday. The rest of us left Sean's Glorious Gifts and rejoined Bromm. Thus ended week two of our Tal' Dorei campaign. With more questions than answers, for sure.